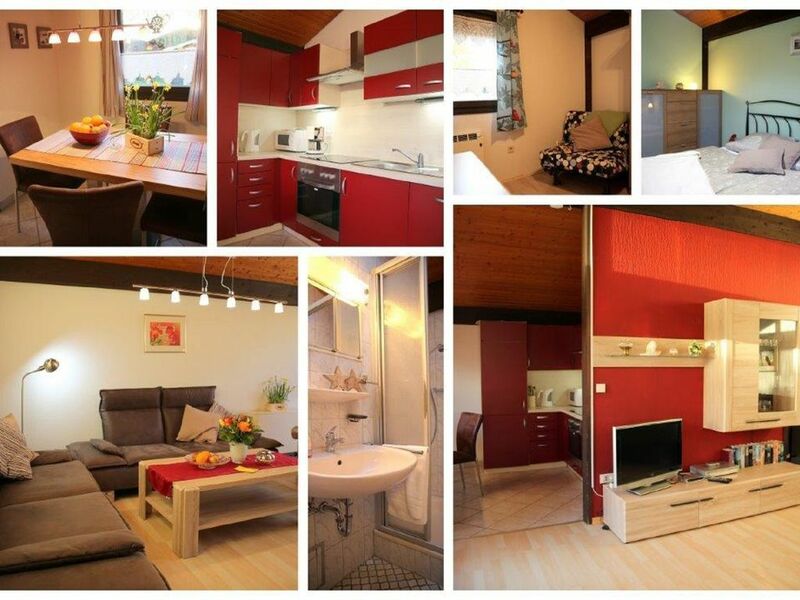 The house is located in the idyllic holiday park Fedderwardersiel and has modern furnishings. It has 2 bedrooms (1x double bed, 1x loft bed) and an additional sleeping accommodation. From the cozy living room looks out onto the terrace and the garden. The kitchen is fully equipped with dishwasher, stove, microwave, fridge-freezer u. V. M. From the house it is only a few meters to the dike, from which it is not far to the North Sea Lagoon, in which you can bathe regardless of tides, and Burhave has. Other leisure activities offer there the play barn, a miniature golf course and a riding stable. In Fedderwardersiel itself there is a cutter harbor with excursion boat. Some restaurants provide culinary delights, for shopping there is a small shop. Day trips to Bremerhaven and Wilhelmshaven provide an opportunity for interesting experiences and museum visits. Upon arrival, a security deposit of 100 Euros is to be paid to the manager. Electricity and water are included in the main season. At other times, 0.29Euro / KWh for the night stream and 0.34Euro / KWh for the daily stream and 5 EUR per cbm of water for the daily stream.